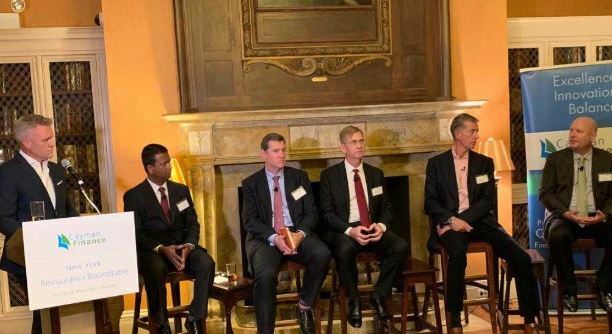 Speaking at the annual Cayman Finance New York Breakfast Briefing Premier Alden McLaughlin said that the Island remained “bullish about the prospects of financial services business” in the jurisdiction. “The country and government are gearing up for opportunities to successfully meet the challenges and uncertainties of the future,” said McLaughlin. 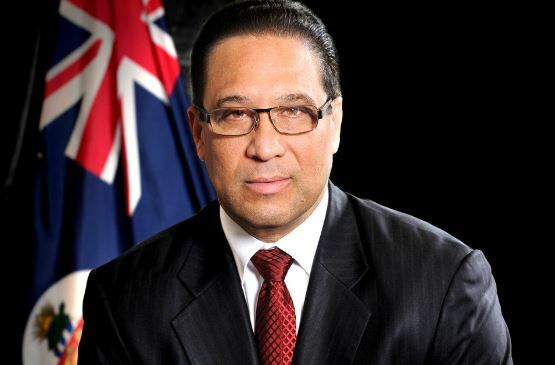 The Premier, the Financial Services Minister, the Attorney General and the Cayman delegation travelled to New York over the weekend following meetings in London, Brussels, Berlin and Paris where they attended 13 meetings with representatives from the European Union and various EU member states including Germany and France. “We wanted to ensure that the EU Commission, the Code of Conduct Group and member states understand that Cayman is meeting the commitments we made and to provide opportunities for them to raise any concerns,” McLaughlin told the New York breakfast crowd. “Conversations were professional and frank and mostly positive,” he added. 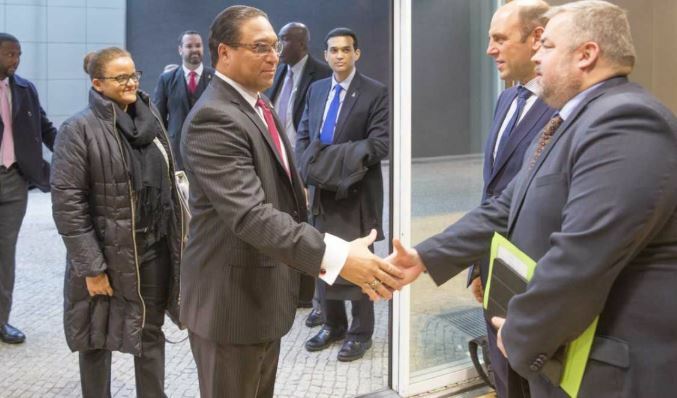 McLaughlin also told the audience of the new Ministry of International Trade, Investment, Aviation and Maritime Affairs, which has been set up to better coordinate Cayman’s work in promoting the Cayman Islands overseas. He also told them about the United Kingdom’s assistance to establish Cayman’s own Asia Office based in Hong Kong. The minister with responsibility for Financial Services, Tara Rivers also made an address at the event. During her address, Rivers noted that the presence at the event of the Governor, Premier, the Attorney General and herself, “Underscores our commitment to the Financial Services Industry; an industry that accounts for roughly 56 per cent of our GDP. It is our pleasure to not only sponsor this event annually, but to also participate in providing the key policy update covering the work of the past year and providing insight into the plans for the year ahead. “Cayman will continue being a place for sound business, long into the future, because we will continue to meet internationally adopted standards,” she said. “Over the many decades we have demonstrated that we have the expertise and the resiliency needed in order to successfully navigate change, for the benefit of our clients and our country as a whole. As our history has shown us, the future of the Cayman Islands is bright,” she added. The New York Breakfast Briefing is hosted each year by Cayman Finance to provide member firms and associates an opportunity to learn more about the latest developments in the Cayman Islands Financial Services Industry. This is the first year that the Premier has been invited to give welcome remarks at the event.